You know that saying, “Too cool for school”? Well, no one’s ever too cool for camp. Our summer camp will never run out of ways to fascinate and engage campers. And vice versa! Our campers never cease to amaze us. That’s what makes them so cool. But in between camp sessions, if you’re looking for a way to add some kick to an otherwise ordinary weekend—perhaps your kids need a little reminder that they’re not too cool for school, either—here are a few fun science activities that are simple enough to do at home. Plus, they only require a few supplies (many of which you may already have lying around) to get your kids actively involved. 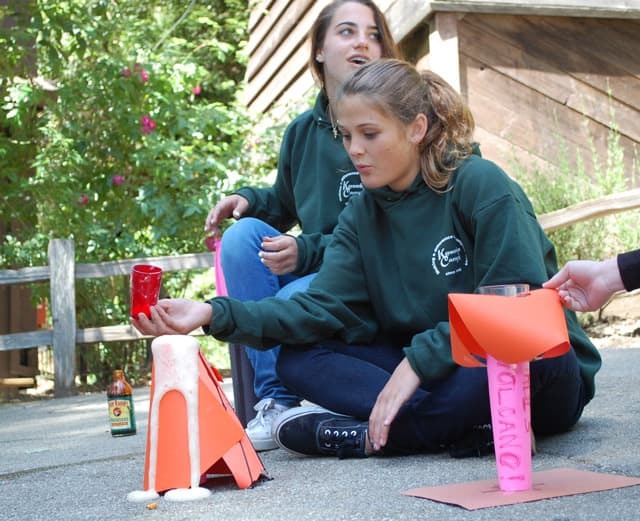 At Kennolyn in the Santa Cruz Mountains, some of our campers’ favorite activities include making ice cream from scratch, constructing clocks and lights that are powered by fruit, investigating what makes the perfect paper airplane, and unlocking the secret to invisible ink. What makes these experiments even cooler is that kids can get into discussions with their instructors about why scientific magic works the way it works and how these discoveries actually apply to everyday life. Summer science camp in Santa Cruz is upping the cool factor by handing you these three science experiments for anytime fun at home. This experiment can get messy. Consider doing this together outside or in an area that can easily be cleaned up afterward. The steps to complete the Oobleck are very simple: carefully combine the cornstarch, water, and food coloring in the bag; zip the bag up nice and tight; then, mix it all together by squishing the substances around in the bag. Creating an Oobleck is a fun experiment in observation as kids explore the different states of matter. At Kennolyn, we like to pretend that the Oobleck is a substance from another planet because it doesn’t seem to conform to our usual expectations of solids, liquids, and gases. It’s great to first talk about what characterizes a solid, a liquid, and a gas; then, kids can probe and experiment with the Oobleck to see which of those characteristics apply. For example, they might try to form it into a ball and bounce it, to pull it apart quickly and then to pull it apart slowly, to poke it, and to put it in a bag or other container and let it take shape. That’s it. Now, tip the jar onto its side and carefully place the egg inside without it breaking. Tip the jar back upright and pour enough vinegar to cover the egg, plus an inch or so extra. It’s okay if the egg floats at first. Cap up the jar, and be patient as you watch for the first signs of a chemical reaction: bubbles forming around the egg. As simple as this experiment is, it takes some time. What do you do now? Wait. Wait for at least 24 hours, maybe an extra day or so more. When you remove the lid and pull out the egg, gently rub and rinse off the leftovers of the eggshell. Then, let your kids poke and prod and investigate—over a plate or bowl or the sink even. The acidic vinegar reacts with the basic elements of the eggshell. The reaction itself dissolves the shell, but it doesn’t dissolve the membrane just below, which still keeps the egg and the yoke safe inside. Unless you squeeze too hard, of course! But with care, you have a translucent egg (shine a light through it to see inside) that will bounce from a low height. It will break with too much force, so prepare for some mess. With patience and clear guidance, kids really can perform all of these steps themselves, so let them try! This will be an experiment that combines baking soda and vinegar to achieve a reaction, so it’s important that the two substances don’t combine until the right moment (hence the 2 different funnels—or one that has been carefully cleaned and dried in between). You’ll start by measuring the dry baking soda into the water bottle (with or carefully without a funnel). Then, hold open the mouth of the balloon (with or without a dry funnel), and pour in the vinegar. Let the bulk of the balloon hang down with its contents as you hold the mouth of the balloon and stretch it over the mouth of the bottle—but don’t let any of the vinegar spill into the bottle just yet! Then, pick the rest of the balloon up, so the vinegar has a chance to spill down into the bottle, and watch as the chemical reaction blows up the balloon. Repeat with fresh supplies. The vinegar by itself is an acid and has lots of potential energy. The baking soda is a base and has lots of potential energy too. When they come together, they react and their combined energy potential is released. By exchanging certain atomic components—each vinegar molecule shares a proton with each baking soda molecule—carbon dioxide forms and fills the balloon. 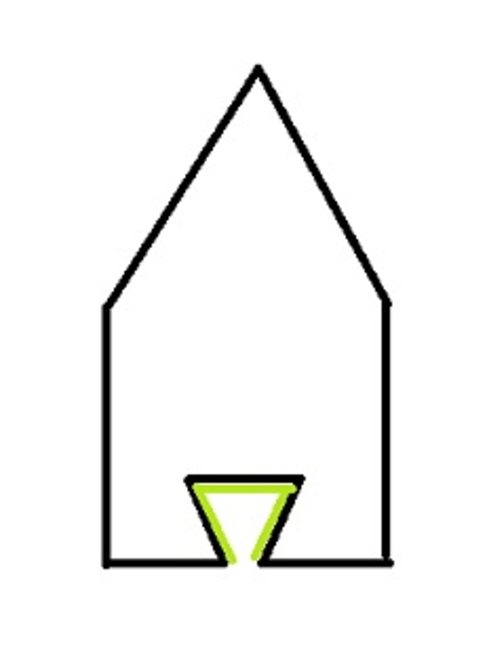 This awesome experiment was designed by Science Bob, and he has found that the shape you see here is the best one to start with. It doesn’t have to be perfect, but help or instruct your child to sketch out this shape, about 2 inches long, onto the cardboard or styrofoam and then cut it out carefully. Make sure you’re near your wide container of water. Coat the end of the toothpick with some of the dish soap—either by dipping into some drops on a dish or by pouring a couple drops on the toothpick over the sink. Spread some of that soap on the inside edges of the upside-down triangle, as you see it highlighted in the shape. Place your boat flat on the surface of the water, and be amazed! Detergent soap itself is actually really cool. Its combination of molecules act on dirt and oil in one way—by attracting and grabbing onto them—and water in another way—by decreasing the surface tension of the water and then following as it rinses away. With this magical push-pull reaction, soap helps us get clean in a way that water alone can’t. The microscopic magic happens when the soap molecules break the hydrogen bonds of the water, or the surface tension that makes multiple water molecules stick together. The chemical process creates enough energy to push the little cut out boat around on the water. Once your kids see how easy it is to power their boat with soap, encourage them to experiment with different shapes and hypothesize why some shapes work better than others. Just like summer camp, science gets cooler and cooler all the time as we explore and discover more and more. STEM activities and requirements at school can sometimes seem tired and uninteresting, but that’s only when you forget about the magic underlying it all. 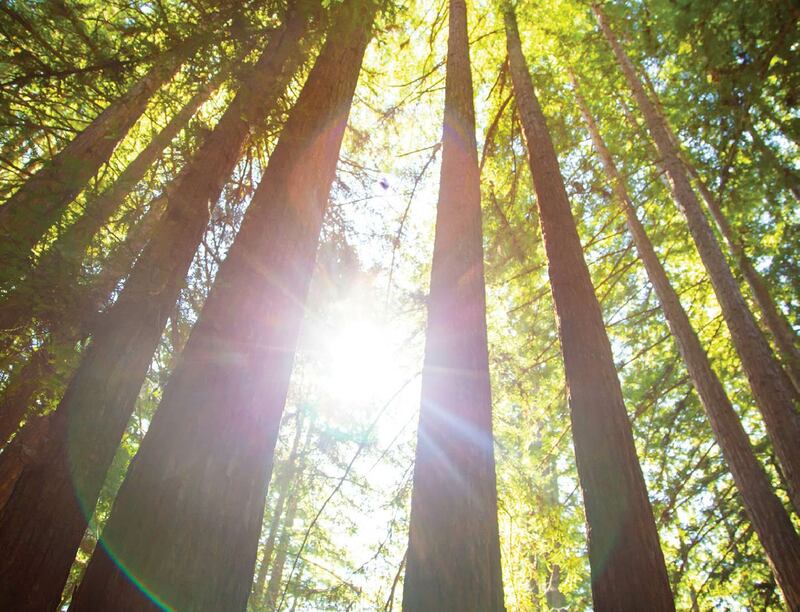 The Santa Cruz area offers a remarkable combination of natural fresh-air playgrounds and intriguing programs for kids to explore. Setting aside time for STEM activities at home can help kids remember the magic that is all around them. It can help them remember that learning science isn’t just about understanding concepts; it’s about understanding the world we live in on all kinds of new levels. And there’s always room for creativity and imagination in that. This dose of fun is just the tip of the iceberg at Kennolyn Camps. Kids in Resident Camp get to design their own schedules—perhaps lining up Fun Science with Guitar and Ropes Course and Culinary Arts, or any other creative mix of our available camp activities. In this way, campers develop their own amazing resilience and urge to learn more. If you’d like to learn more about how summer camp can give your kids a summertime STEM boost or just pave the way for an incredibly fun summer among friends, give us a call.